Author Michael Arceneaux discusses how Rebel Wilson blocked him and several Black women for criticizing her erasure of plus-size and Black rom-com actresses, the egotistical ideology that got us here, and what he hopes Wilson’s apology actually means. I often quote Kenny Rogers because so many vital life hacks are conveyed in his classic bop, “The Gambler.” Clearly Rebel Wilson is not familiar with the ways of Mr. Rogers because she recently displayed a lack of awareness as to when to hold ‘em, when to fold ‘em, and when to walk away. As of Monday evening, though, she has seemingly figured out when to run—but it didn’t have to be this way. 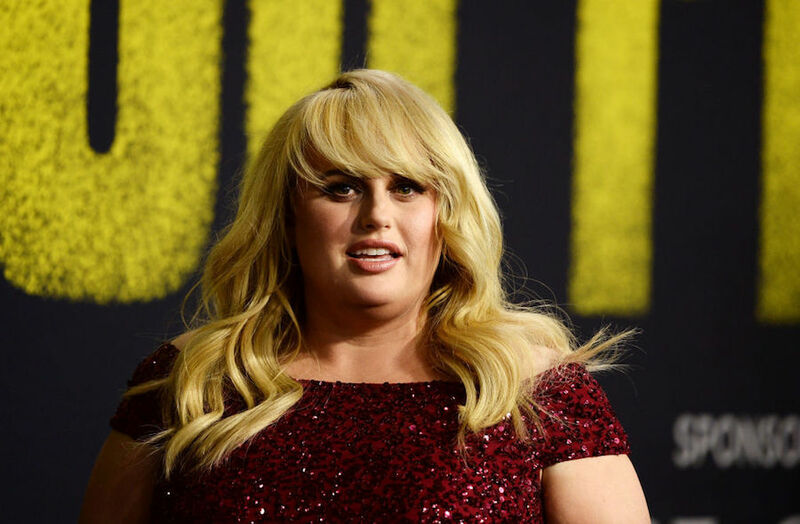 That is what makes the controversy surrounding Rebel Wilson’s comments during an appearance on The Ellen DeGeneres Show last week all the more bewildering: She dug herself into a hole, and when folks tried to extend a hand and help her get out of it, she dismissively swatted them away. And then she blocked many of our majorly Black asses for being a bit more inclusive in our assessments, as noted in publications like Variety and Bustle. I don’t know how film promotion works in Australia, but this is not the best way to get the masses excited about your movie. Thing is, Ricki Lake’s starring role in the 1989 film Babycakes begged to differ. So did other films such as 2006’s Phat Girlz and the 2010 release Just Wright starring Mo’Nique and Queen Latifah, respectively. Due to that oversight, Wilson’s comment quickly spread far and wide across Al Gore’s internet, and many quickly took to Twitter to inform Wilson of her error. This is hubris masquerading as nuance, but Halloween is over so let’s all stop the pretending. Wilson is guilty of an error similar to one made by Sam Smith in 2016 when he accepted an Oscar for Best Original Song and said he was the first openly gay man to win such an award. That was not the case, and he proceeded to offer an explanation that quickly shifted to an apology and an acknowledgment of those who came before him. Wilson was presented with the same opportunity, and she chose to go in another direction. Mo’Nique was right to correct Wilson. So were others. I count myself among them. Then Wilson blocked me and a bevy of other users all the same, despite the fact that we were not being aggressive or antagonistic in our tone. Although I can understand the pressure celebrities face from a sometimes-vitriolic public—particularly on social media and especially towards women—most of the people offering Wilson insight into her false claim were Black women like Clarkisha Kent. Wilson blocked them. Sometimes you have to ask yourself what matters more: being correct or just wanting to be right. Likewise, does it really matter if you’re the first to do something, notably if the real goal is to make sure others come after you? When it’s the latter, you have no problem praising those that helped pave the way for you—a favor that returns to you in due time. I don’t know if it was an epiphany or an intervention staged by the movie studio publicist who just doesn’t need this right now, but Wilson appeared to come to her senses. On Monday evening, Wilson returned to Twitter to offer an explanation and a real apology. Wilson unblocked me, too. I suppose all’s well that ends well, but this was so preventable. It became a bigger story because ego drove Wilson’s intentions. All creatives should be more mindful of those who have paved a way for them, but no one expects an individual to know everything. It’s okay to be wrong, and frankly, in this situation, a simple “my bad”—or whatever the Aussie colloquial equivalent is—with an acknowledgment to the women who came before her would have quickly ended this story. I accept Wilson’s apology, but I’m more curious about the actions she does or doesn’t take as a result of what led her to it.